Front of Mind will delve into the topics that are fascinating, exciting or challenging the WSUD, water sensitive city and stormwater industry right now. We'd like to offer YOU! the opportunity to appear on it and share what is interesting you. Sharing these ideas and challenges help our industry make progress quicker. 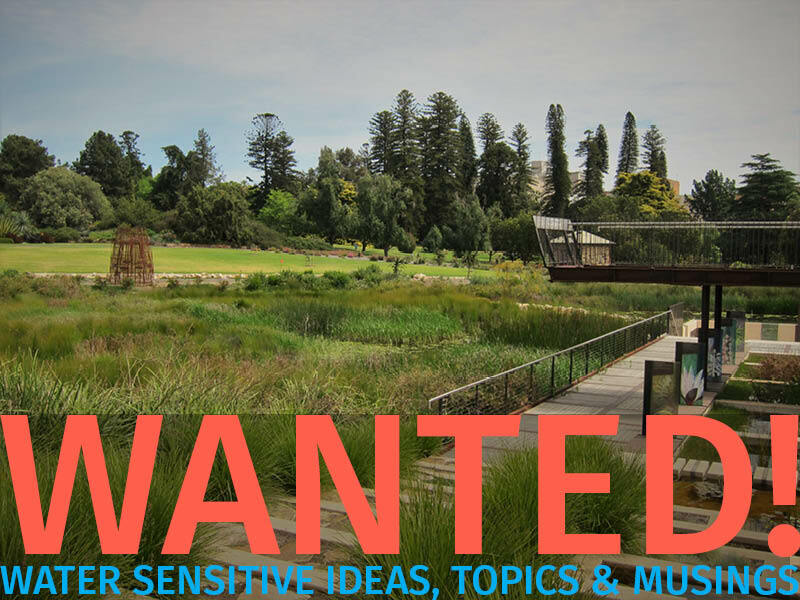 Any WSUD, water sensitive city or stormwater topic is worth suggesting, so long as its currently fascinating, exciting or interesting to you. 1. Fill out the form below. Let us know the topic that interests you, why it is of interest and how to contact you. 2. We will review your topic and arrange a time to chat on the phone to find out more. 3. If we're satisfied that the topic fits the bill, we arrange a time to meet (either in person or via Skype) to record a conversation about it. 4. We take the recording of the conversation and turn it into an Ideanthro episode. Let us know the topic that interests you, why it is of interest and how to contact you. Thank you for suggesting a topic! We will review it and be in touch shortly.